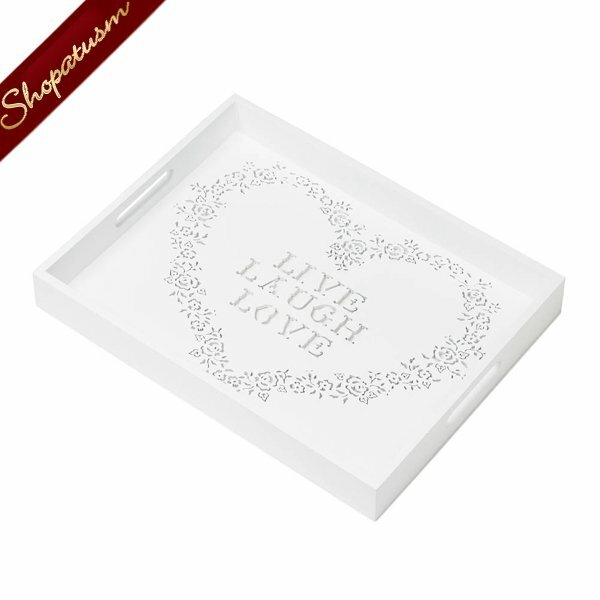 This is for a Live, Laugh, Love Serving Tray, White Floral Stenciled Heart Tray, Wood Tray from Shopatusm. This tray features a sweet reminder of what's really important to us. 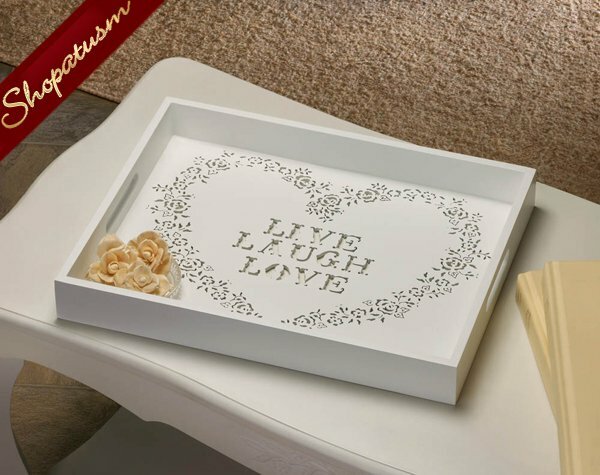 Made from wood and finished in white, the interior of this tray features a floral stencil heart and the words "Live Laugh Love." Item weight: 1.8 lbs. 16 1/8" x 12 1/4" x 2" high. MDF wood. Contents not included.